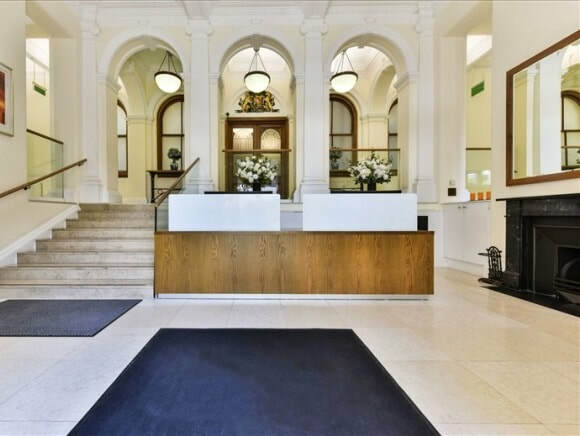 Southampton Buildings in London WC1 is a highly impressive serviced office building close to Chancery Lane tube station. The building benefits from a number of features that include meeting rooms, secretarial support, air-conditioning and a Club Lounge. Office space is located on a number of floors and come with the option to be furnished or unfurnished if required. As well as having a stunning exterior, the building also has a high standard interior which has been beautifully crafted. With twenty-four hour access to the building, these offices can also be negotiated to a specific rent period.